Dimensions: 34" wide x 12" deep x 63" high. 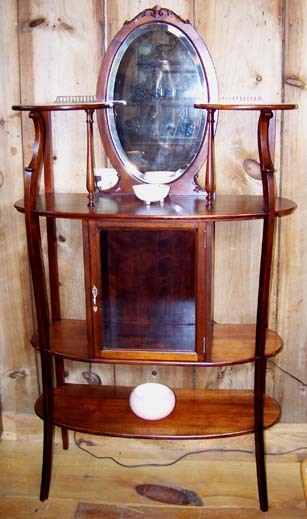 Description: This dainty French style curio in mahogany tones is a stylish display piece that will enhance any room in your home. 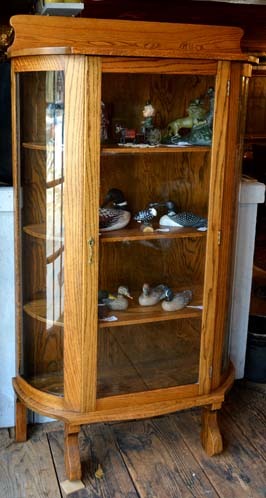 Dimensions: 30" wide x 16 1/2" deep x 66 1/2" high. Dimensions: 36 wide x 13" deep x 63" high. 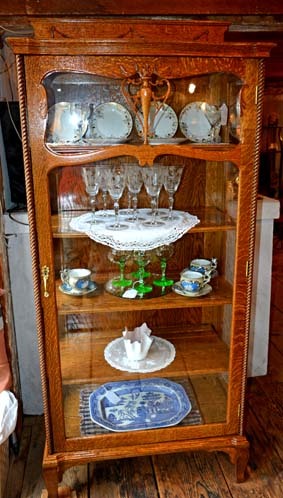 Description: You have requested curio cabinets. 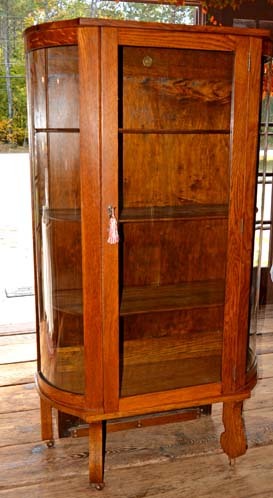 Here is a top of the line example of the turn of the century Oak Curio Cabinet. 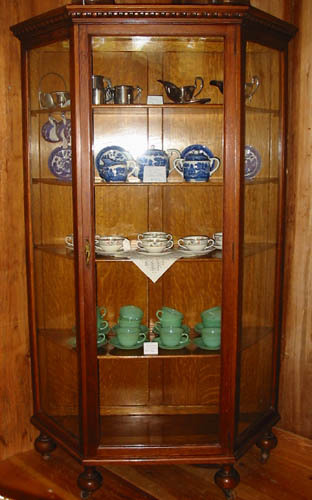 This item was purchased from a Westbrook, Maine home and is in pristine original condition including the finish. 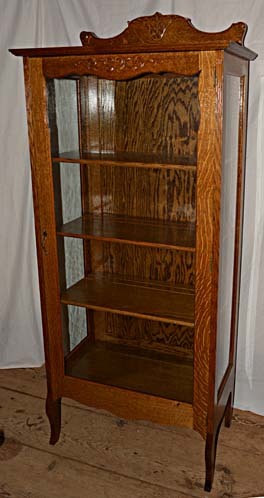 Dimensions: 36" wide x 15" deep x 62 1/4" high. Dimensions: 27 1/4" wide x 15" deep x 63" high. 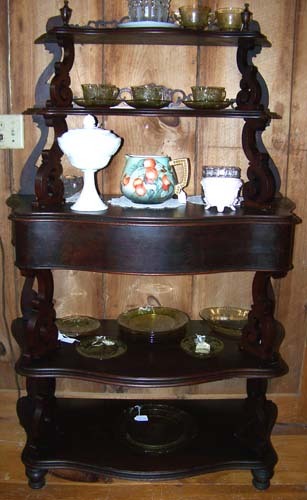 Dimensions: 37" wide x 17 1/2" deep x 58" high.